Experiencing holidays abroad can be both enlightening and disappointing for the world traveler. In China, Western tourists can expect to witness a very different approach to their own holidays than they would find traveling in other regions. Christmas in China is not widely celebrated as a religious holiday, but the commercial aspects of the season are alive and well in more cosmopolitan areas. If you&apos;re planning a December adventure to China, here are ten useful travel tips you should know about Christmastime in China. 1. 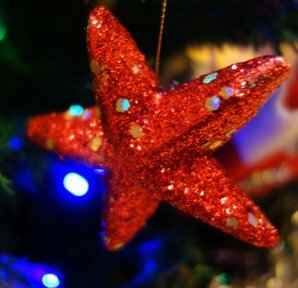 Christmas is a great time to connect with expat communities. If you&apos;re traveling during the holiday season in one of China&apos;s more international cities, it&apos;s a perfect time to reach out to the expats living in that area. Events such as Christmas parties, gift exchanges, caroling, and more are easy to find within expat communities in China. If you&apos;re hoping to experience the warmth of the season while abroad, it&apos;s best to connect with those around you. In many cities, Christmas is celebrated by the growing expat communities. 2. Domestic travel prices drop around Christmas Time. The month of December can be incredibly cold in northern China. It is also a time without any official Chinese holidays to compete with, meaning domestic travel during this time is fairly cheap. While the price of your international flight to get to and from China is sure to go up, the low cost of travel around China at that time will help to balance out the difference. 3. Christmas is a public holiday in Hong Kong, Macau, and Taiwan. Hong Kong can be warm and bright at Christmas. As with many things in relation to China, the Christmas holiday looks very different in the mainland as opposed to how things are done in Hong Kong, Macau, and Taiwan. 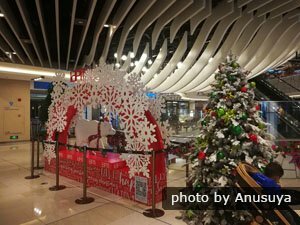 While there is no official recognition of Christmas in mainland China, if you are traveling in Hong Kong Macau, or Taiwan you can expect similar schedules as you would find at home. 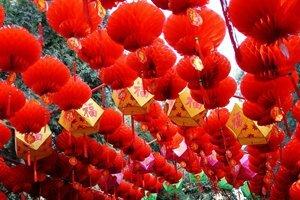 The public holiday varies whether you are in Taiwan or Hong Kong, but is generally observed by many. This is important to keep in mind if you are planning to visit any city museums of conduct any banking during your travels. 4. Larger cities in the North and on the East Coast will often have Christmas celebrations. China&apos;s fascination with Western culture has prompted an interest in celebrating the flashy and fun parts of the Christmas season. 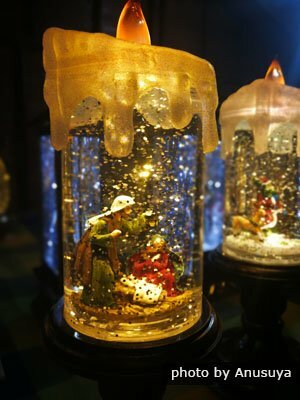 While you might be hard pressed to find a nativity scene or midnight mass, you might be surprised by a Christmas market, mall Santa, or lights display that will make you wonder if you ever left home. Wherever there is a strong Western influence, you are sure to find some form of Christmas celebration. In Shanghai, often regarded as China&apos;s most international city, visitors can even find Christmas markets in the European style. Christmas light displays and decorations can be seen in malls and public places throughout the more international cities of China. 5. 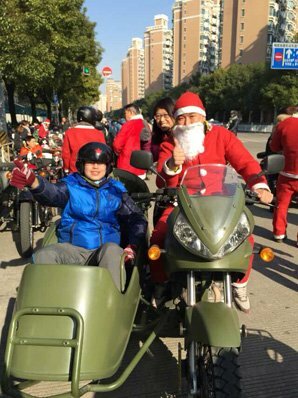 Northern China has a Russian Christmas and southern China has a British Christmas. 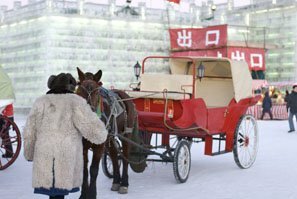 A one-horse open sleigh (carriage) in Harbin, north China. In cities like Harbin and Shenyang, the celebration of Christmas is heavily influenced by the close proximity to the Russian border. On the other side of China, in Hong Kong and Macau, you can see a much more British looking Christmas thanks to the colonialism of the area by the United Kingdom. 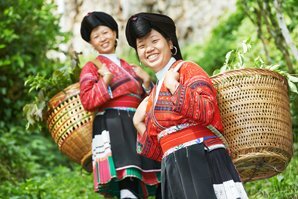 In northern China you are likely to see Russian style decorations, foods, and expat celebrations. Whereas in the South you will see people celebrating the British Boxing Day and popping crackers with their family. 6. There are two ways to wish someone a Merry Christmas in Chinese. Wishing someone a Merry Christmas can look two different ways in China, depending on their religious affiliations. 圣诞快乐 (Sheng Dan kuaile) meaning "Holy Birth Happiness" is a common greeting used to wish someone a happy Christmas in China. The other greeting that is commonly used is considered the more religious option. 耶诞快乐 (Ye Dan kuaile) actually uses the transliteration of the name Jesus to create the phrase "Jesus Birth Happiness" which is also a popular Christmas greeting. No matter which you prefer, learning this simple holiday greeting is a great idea for anyone traveling through China during the Christmas season. 7. Online shopping deals rival American Black Friday. If traveling during the holidays has you sad about missing those Black Friday and Cyber Monday deals, China will not disappoint. The Chinese equivalent of Black Friday is on Nov 11 and is known as Single&apos;s Day (11.11), and sees a greater amount of online sales than any other global shopping day. If you are looking to score amazing souvenirs or standard Black Friday deals, shopping during this time is sure to make you smile. Enlist the help of a native friend to browse sites like TaoBao (Chinese Amazon) to experience what it&apos;s like to shop online during the Chinese holidays. 8. Winter sports and ice festivals are popular activities during the Christmas season. If you&apos;re worried about missing out on favorite holiday activities while traveling in China, you can put your fears to rest. China is known internationally for it&apos;s impressive ice festivals and winter sports. Ice skating, skiing, and more can be found in the northern mountain areas of China. While the famous Harbin Ice Festival is known around the world for its beauty and architectural wonders. 9. 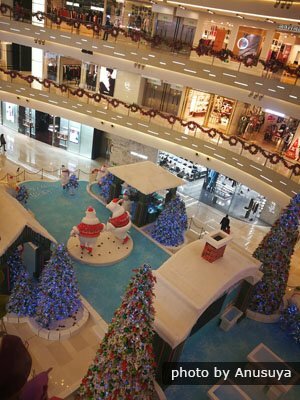 Christmas decorations begin taking over Chinese malls and public spaces in early December, not before. China does not celebrate Thanksgiving, which changes the way the typically holiday season is viewed. December is seen as the start of the Christmas season in China, as opposed to the early November preparations commonly seen in America and other Western countries. With this is mind, plan your travels in December if you&apos;re hoping to witness a Chinese Christmas up close. Malls and public spaces will often transform overnight for the day of December 1st. Shoppers and tourists will be greeted with wintery scenes and Christmas music throughout the month when visiting high traffic areas in international cities. Red lanterns and twinkling lights are very popular Chinese ways to decorate for the Christmas season. 10. Apples are considered a traditional gift for Christmas Eve celebrations. As Christmas continues to grow in popularity in China, new traditions are emerging in Chinese families who choose to celebrate the holiday. One such tradition is the gifting of apples on the night before Christmas. The tradition comes from a coincidence found in the Chinese language. The word used to translate "peace" in the Chinese for "peaceful night" or "Christmas Eve" is pronounced similarly to the Chinese word for apple. 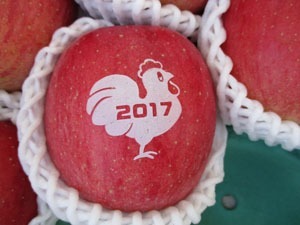 Apples with Christmas scenes or relevant Chinese characters carved into them can be found for sale in the days before Christmas Eve. If you are traveling in China during this time, be sure to share in the spirit by gifting and receiving the traditional Christmas Eve apples with friends. Plan Your Christmas Vacation to China Today! Enjoy the Great Wall with snow, and no crowds! China Highlights is here to help you plan the perfect winter escape to China&apos;s most festive sights and cities. 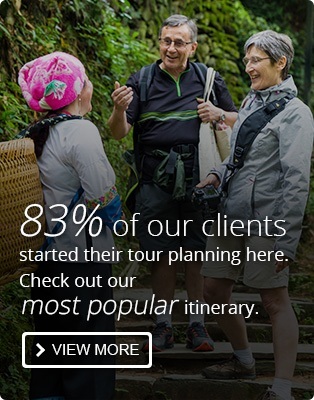 Book a customizable itinerary with us or plan a custom trip to fit your needs. See China in a whole new light this holiday season. 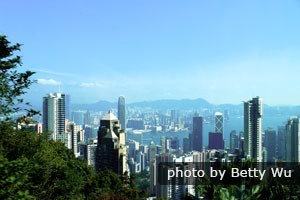 We also recommend including a trip to Hong Kong at Christmas. It is renowned for its Yuletide festivities, with warm weather! Another highlight is winter travel in Beijing, including the Great Wall in the snow. The Wall is a sight to behold and nothing quite like it can be experienced anywhere else in the world. Our Broad Taste of China Tour starts in Beijing and finishes in Hong Kong — a food tour is perfect for the festive season! 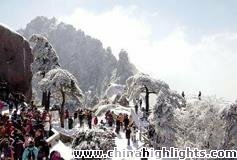 Have an Amazing Winter Vacation in China!